Sandwiches are a favorite amongst young and old, but recently they’ve received a bad reputation due to being unhealthy. With growing recognition of the counter-productive dieting properties of carbohydrates, sandwiches and other foods which contain bread are becoming less and less popular. Despite popular misconceptions, sandwiches and bread can be enjoyed as part of a balanced and healthy diet. Carbohydrates do have their place in the modern diet; especially for when energy is needed towards the beginning of the day. 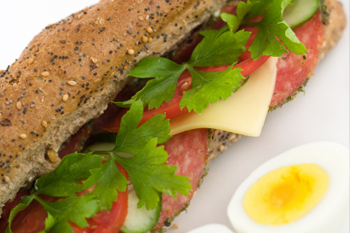 Use the tips below to create healthy and delicious sandwiches that can be consumed without guilt. Most people know the benefits of brown bread over white bread; it is one of the easiest changes you can make to increase the nutritional benefits of your sandwiches. Brown bread uses less processed flour than white bread; this means it takes long to digest, keeping you fuller for longer. It is a complex carbohydrate, meaning it keeps your blood sugar levels steady, as opposed to white bread which can cause a large insulin spike, which is counterproductive for weight loss. Cheese is a great addition to sandwiches, but it is high in saturated fats, making it bad for a healthy diet. Although fine in moderation, using light spreadable cheeses instead of harder cheeses can make a massive difference to the overall fat content of your sandwiches. Use a thin layer of spreadable light cheese applied directly to the bread to add creaminess and depth of flavour to your sandwiches, without comprising the nutritional value. Cold cuts of meat are one of the most popular fillings, but some are much healthier than others. Avoid cured sausages and meats like salami. Anything that contains visible white flecks will usually be high in saturated fats. Choose meats that are low in fat such as chicken and turkey. Even ham and beef can be low in fat if you choose the right cuts. Trim any excess fat from the meat before you put it in your sandwich. 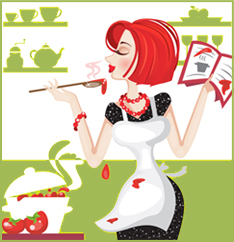 Avoid high sugar spreads such as chocolate, jam and preserves. Opt for organic peanut butter; it is high in health fats, low in unhealthy fats, and high in protein. Unlike some of the more processed peanut butters, organic peanut butter only contains peanuts and a small amount of palm oil. Peanut butter is an excellent energy source, and is even popular amongst body builders for its positive health properties. Use the tips above to create healthy sandwiches than you can include in your daily, balanced diet. If you are concerned with carbohydrate intake, eat your sandwich in the first half of the day. This allows your body to use the carbs as energy, instead of storing them as fat! Taylors of Oxford Sandwiches are known for their fresh ingredients, delicious flavors, and gourmet presentation. For more information, please visit their website: Taylors of Oxford.